We took a break from our full-time classes this month and really focused on the ripple-effect, working together with local educators, organizations, and volunteers to help spread the good word about STEM education. We helped digital learning specialists and librarians learn more about technology at Aldine ISD by taking them through one of our most popular workshops, Flower Drums. In this lesson, students build circuits from flowers and a makey makey circuit board. When the flowers are touched, they make a musical sound. The lesson plans are online here. Technical setup for Code Park’s Beyond the Banana - Build a Flower Drum Set professional development session for Aldine ISD Digital Learning Specialists and Librarians. Courtesy of Amanda Shih. September 6th, 2018. Beyond the Banana - Build a Flower Drum Set: Code Park’s professional development session for Aldine ISD Digital Learning Specialists and Librarians. Wanjun shows educators how to incorporate beat-making into STEM and Computer Science education. Courtesy of Amanda Shih . September 6th, 2018. Code Park together with HCC hosted a meetup that brought together the tech community and other meetup groups in order to brainstorm ways to help the Houston Food Bank. The group discussed how to tackle food security issues facing Houstonians. Regi Young, Director of Houston Food Bank’s Food for Change program addresses the community about Houston Food Bank’s Work and Impact. Sept 7th. HCC West Institute. Courtesy of Wanjun Zhang. September 8th, 2018. It’s now officially open! 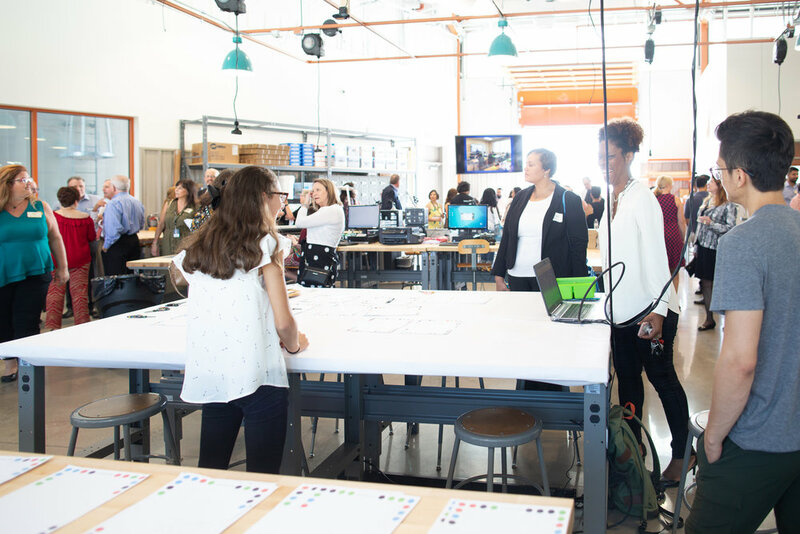 Fab Lab hosted their ribbon cutting last month, and we at Code Park were there to help. We demoed Paper Programs, an installation designed to allow people to interact with computers via real-world objects. It’s inspired by Dynamicland. 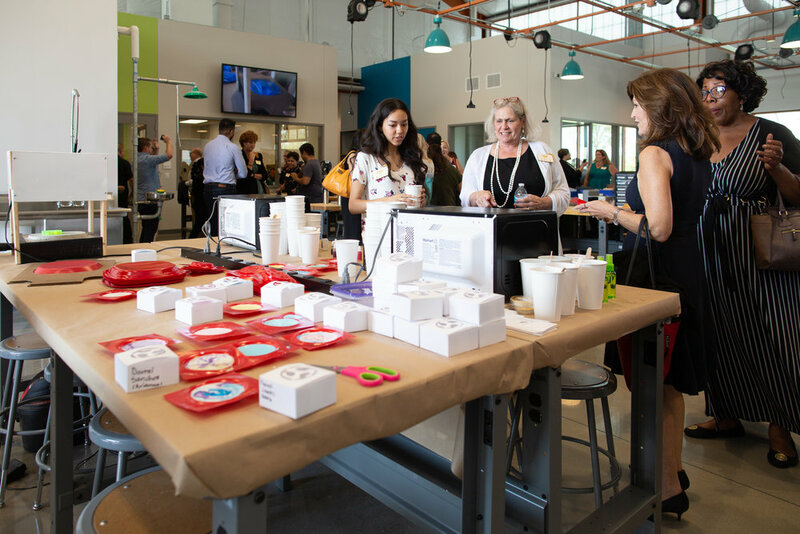 We are super excited to continue working with Fab Lab to provide resources for STEM education and to help teach professional technical development. Monica, Fab Lab Ambassador and Code Park Invent to Learn student, leads an interactive learning experience with Code Park’s preview of Dynamicland with Paper Programs. Watch the demo below. Courtesy of Wanjun Zhang. September 18th, 2018. An interactive demo of Dynamicland with Paper Programs built on the idea that that we can “talk” to real world objects through Code. Courtesy of Wanjun Zhang. September 18th, 2018. Brent screenprints a custom t-shirt as part of Fab Lab Houston’s Ribbon Cutting. Courtesy of Wanjun Zhang. September 18th, 2018. 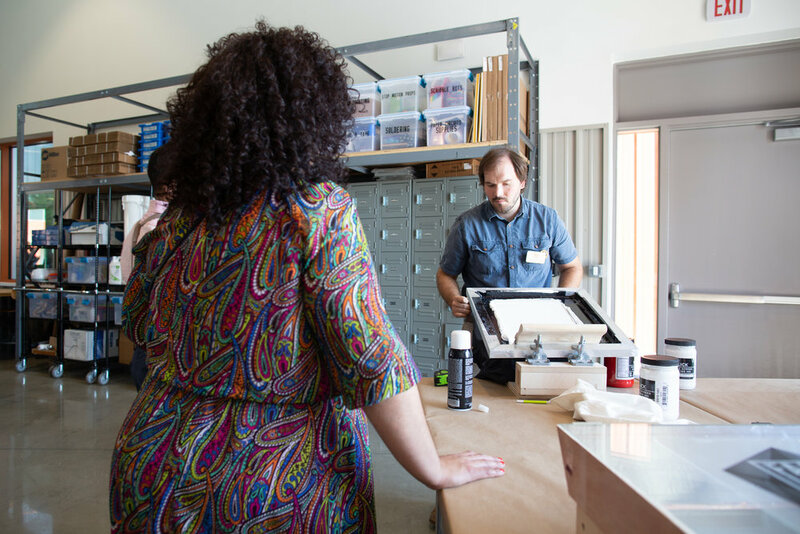 Alandra, Fab Lab Student Ambassador and Code Park Invent to Learn student, talks about the soap-making process at Fab Lab Houston using a vacuum former and a laser-cut mold positive. Courtesy of Wanjun Zhang. September 18th, 2018. 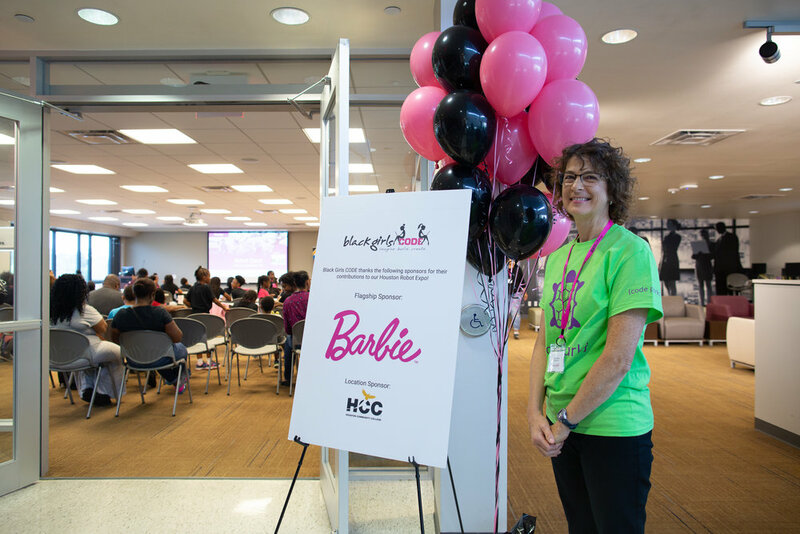 Code Park served as technical instructors for the Black Girls Code Robot Expo. We worked with 69 girls to teach them about technical problem solving while building robots. Thank you Code Park Volunteer Carolyn for supporting Black Girls Code. Courtesy of Wanjun Zhang. September 15th, 2018. 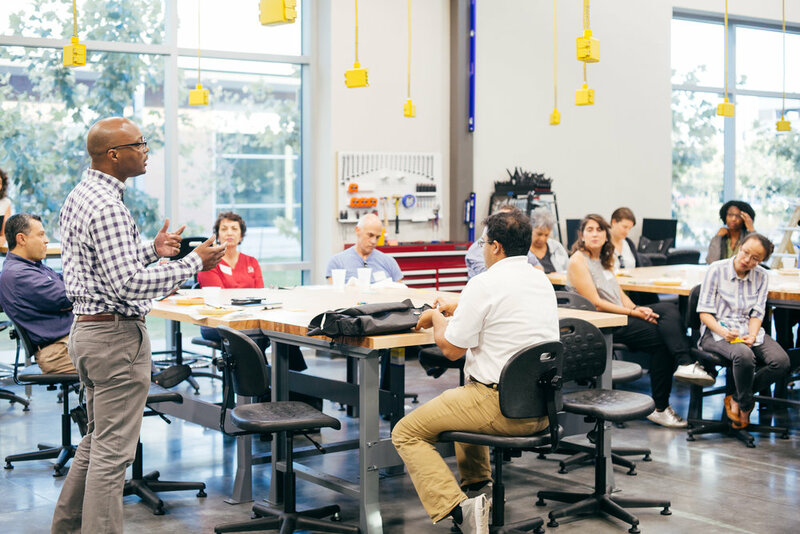 At the HCC Southwest Advanced Manufacturing Facility, we helped mentor students during a hackathon that focused on water usage sustainability in a post-Harvey world. Code Park helped with how to tackle technical challenges, pitch an idea, frame a problem, and effectively collaborate with team members. Ravi Brahmbhatt, Director of Student Innovation introduces students to the hackathon format at HCC Southwest Advanced Manufacturing Center. Code Park is excited to have supported the event with mentoring and volunteering. Courtesy of Wanjun Zhang. September 22nd, 2018. Meet Code Park Volunteer Bryan! Meet Code Park Volunteer Kenia!